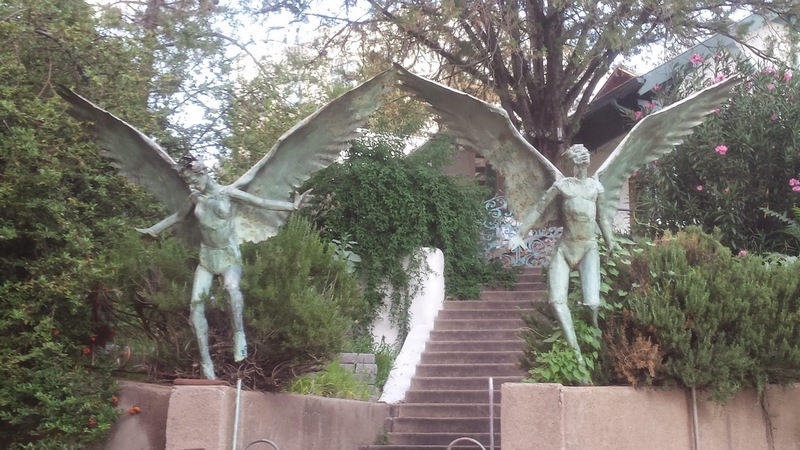 These magnificent angel sculptures can be found guarding a private home in charming Bisbee, AZ. Bisbee is an old mining town and is now well known as an artist community. 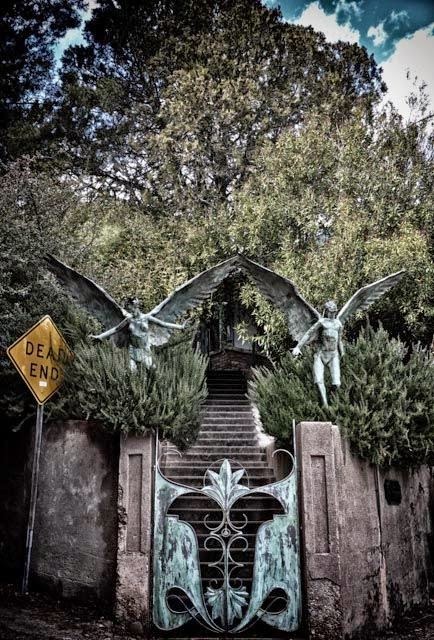 Unfortunately I couldn't find the name of the artist who created these pieces but I can tell you this angel image is the cover for Sky Rocket Prophet's "Valley Hymns" CD. WOW is the only thing I can think of to say - what an entrance!